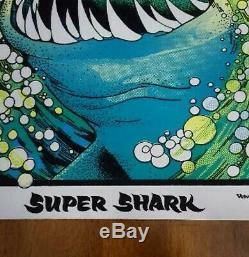 Up for sale is a vintage original Velva Print black light poster named "Super Shark". This poster is in immaculate condition for its age being near mint with just some flaws around the edges with some slight dings but minimal. A great vintage retro piece to add to your collection! 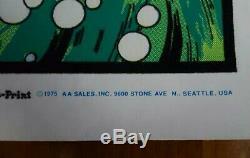 Will be listing some more posters so be on the lookout. 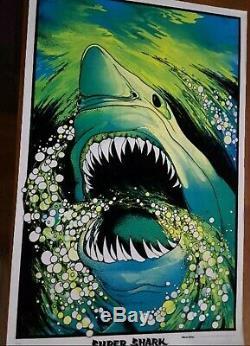 The item "Vintage Original 1975 Velva Print Black Light Poster Super Shark Retro" is in sale since Tuesday, March 5, 2019. This item is in the category "Art\Art Posters". 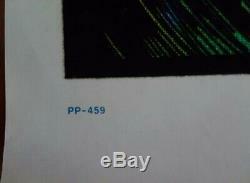 The seller is "trackofalljades77" and is located in Clinton, Iowa. This item can be shipped to United States.